Our PTB-approved 2- to 8-channel Soundbook_MK2 instruments are especially well-suited for mobile use and allow extension with additional channels if necessary. 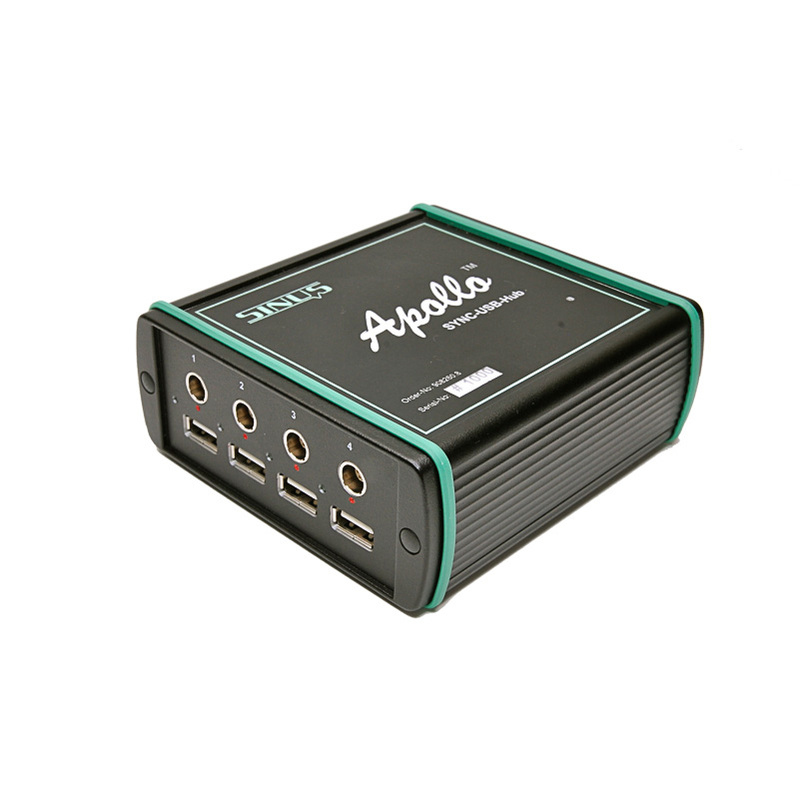 Apollo_Box and Soundbook_MK2 Expander are multi-channel measurement front-ends for operation with a Windows PC with USB interface. Furthermore, these measurement front-ends provide a possible channel extension to the Soundbook_MK2. For this purpose the Soundbook_MK2 Expander is designed for direct fixed mounting on the Soundbook_MK2. The portable 16- to 31-channel measurement system TORNADO is ideal for mobile data capturing at the best possible price/performance ratio. For the measurement system AcoustiCam a special version of TORNADO is available which allows the connection of 32 measuring channels with only two plug connectors. For lab applications with more than 48 measuring channels we offer the modular measurement system TYPHOON. Additionally, 4- to 8-channel Apollo_PCIe measuring cards are available for use with existing Widows PCs. Multiple Apollo_PCIe measuring cards may be combined and allow sample-synchronous operation. Please do not hesitate to contact us for support in selecting the measurement system optimally suited for your application.